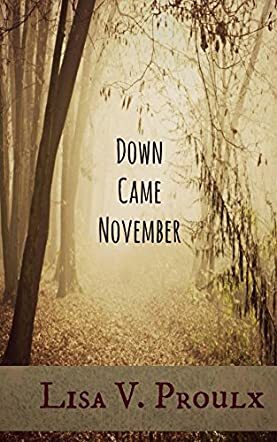 Down Came November by Lisa V. Proulx is the heartrending and melancholic story of Elizabeth Frost who felt alone for the first time after she lost everyone whom she loved. Her once beautiful soul became an empty shell after a succession of tragedies beginning with the loss of her mother, her fiancé, and her brother. The story is all about love and explores the love she shared with her mother, fiancé, her pet dog, and her two live-in lovers. This story is all about the tangled web of love and relationships, friendships, family, and hope. The ending is unexpected and Elizabeth’s roller-coaster life is an engaging read and will break the hearts of readers. The author captures the love between Elizabeth and her mother, Elizabeth and her fiancé, and Elizabeth and her pet dog in a fascinating way; three varied types of love have been brought forth by the author in a captivating way and woven together seamlessly. I like the opening scene of the story where the colors of autumn and leaves falling from rotting branches have been metaphorically used to describe Elizabeth's loss, leaving her all alone in the world. The story is saddening and will make readers wonder about the amount of hardships Elizabeth had to endure in her life, and the unfairness life threw at her. Readers will be able to feel Elizabeth’s pain as they go through her personal story of loss, and her emotional state of mind is palpable while one is reading this book.